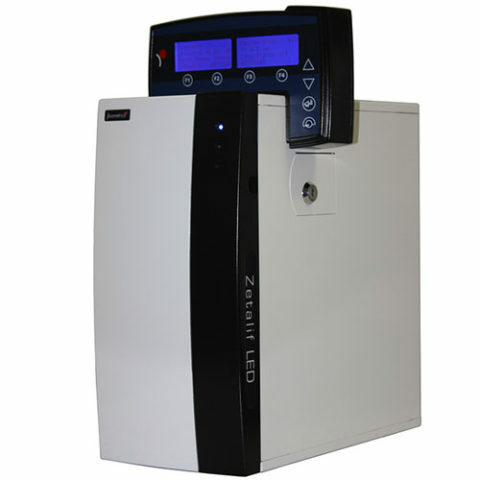 The BIABooster is a plug-in for commercial Capillary Electrophoresis Instruments. 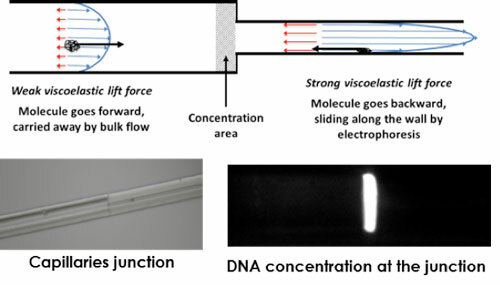 It works with µLAS technology, in which applying simultaneously hydrodynamic and electric fields in a viscoelastic buffer generates a stable on-line concentration of DNA at the junction between two capillaries of different diameters. After concentration, a progressive change in hydrodynamic and electric fields results in size separation. 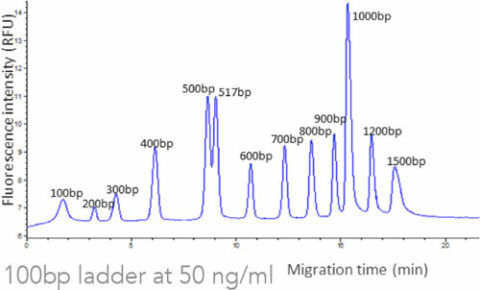 Separated DNA peaks are detected by laser induced fluorescence. 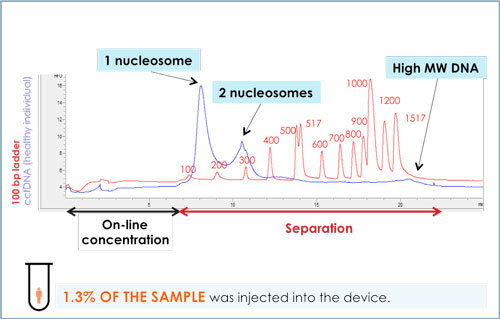 Up to 1 µl of sample is injected in the device, to be compared to a few nanoliters injected in an usual capillary or microchip electrophoresis. 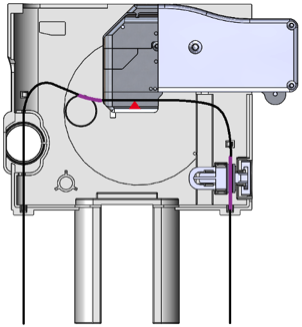 This allows the analysis of very diluted DNA samples, invisible in electrophoresis techniques. 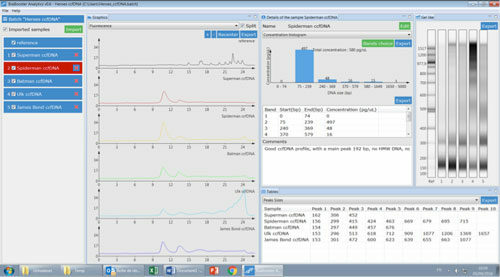 The BIABooster Analytics software has been developed to analyze raw fluorescence data and to translate them into fully informative concentration distribution according to DNA size. This intuitive and user-friendly software contains key features for automating or streamlining QC of the experiments, data analysis, sample comparisons, export of graphs and data, and reporting. What do you need for profiling DNA using BIABooster? Contains all reagents & plastic wares to analyze 50 samples. Ready-to-use information : the BIABooster Analytics software translates raw data into size and concentration information. But it is an easy thing with the BIABooster! 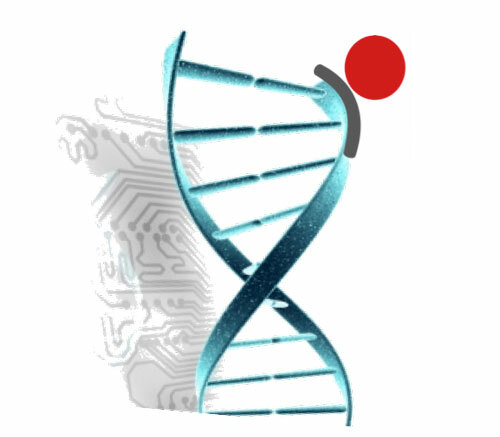 Circulating Cell-free DNA (ccfDNA) is now recognized as a potential biomarker enabling personalized medicine for a wide range of pathologies. 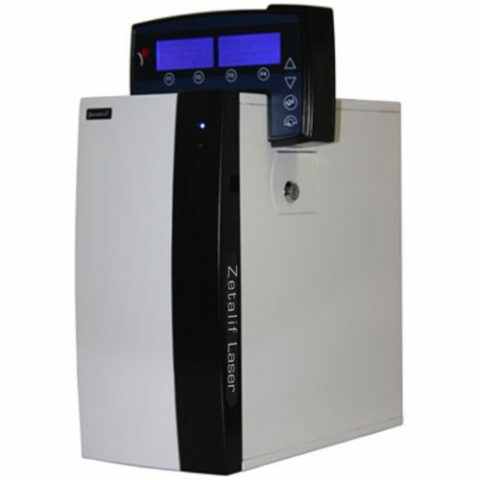 The BIABooster can be used both to QC DNA samples before PCR or sequencing, and to study ccfDNA size profile according to clinical situations.